For Sale By Owner: Are You REALLY Saving Money? Some home sellers try the “DIY” route only to find it can be more trouble than it is worth. Yes, it’s still a great seller’s market. A lot of homes are being sold “right off the shelf”, so to speak. It’s true that in times like this, some sellers wonder if it was worth hiring a real estate agent to represent the sale transaction of their home. While it may have looked easy, the efforts on our behalf to get you that offer (or those OFFERS) goes beyond just sticking a sign in the yard. So what ARE you paying for when you hire a Realtor to sell your property? It’s understandable to some degree that sellers who may not recognize the value of our services at first may wonder what they are paying for? After all, why not just stick a For Sale By Owner sign in the yard, maybe post an ad on Craigslist or the local news/classified sites, and maybe even do a Facebook post? That’s all there is to it, right? 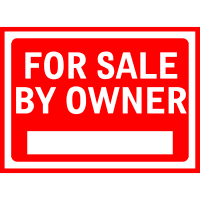 What do you know about selling a home? What do you know about real property contracts? How to open escrow? Are you familiar with title companies and their role in the sale of real property? How will you handle issues that may come up involving title (even on your own property), escrow issues, buyer loan problems? Who is walking through your door? A real estate professional’s job is to insure that anyone previewing your home is qualified to purchase your home. That means we have at least enough information to establish that, if they are interested in your home, they will be ready to make an offer that will be valid with at least a loan pre-qualification. What are your qualification plans for making sure BUYERS are walking through your door and not someone less savory in character? How will you market your home? The majority of home buyers begin their home search process through a Multiple Listing Service (MLS). The MLS is a feature for promoting homes for sale that is exclusive to licensed real estate agents who are members of the Association of Realtors. Real estate professionals also not only network with their buyer database, they network with hundreds, or even thousands of other real estate agents who have buyers looking for a home just like yours. Before you make the decision to sell your home on your own, it costs you NOTHING to at least speak with a professional real estate agent. Yes, of course we want your business, but we also want to provide you with the best information about what you should consider (Aside from what we mentioned above) when it comes to marketing and selling your home.